Scott Morrison has clarified comments suggesting he was open to nuclear power. But after backlash from Labor, Mr Morrison moved on Twitter to declare he had no plans to change the law to allow nuclear power stations. “Labor are getting desperate, and we are only 8 days in. This is not our policy and we have no plans to change that,” he tweeted. Mr Morrison’s original comments came on Tasmanian radio on Thursday morning. When pushed on whether he would be happy to take proposals from the nuclear industry on going ahead with power projects, the Prime Minister said it would be allowed to do so. “It’s not ‘not’ on the agenda, wherever it can come from is fine, but it has to be self-sustaining,” Mr Morrison told Launceston FM. Nuclear power has been an almost untouchable issue in Australian politics for decades and Labor was quick to leap on the Prime Minister’s comments. Opposition environment spokesman Tony Burke said Mr Morrison would need to change the law if he were ever to accept a nuclear power station proposal. “Nuclear power is against the law in Australia. 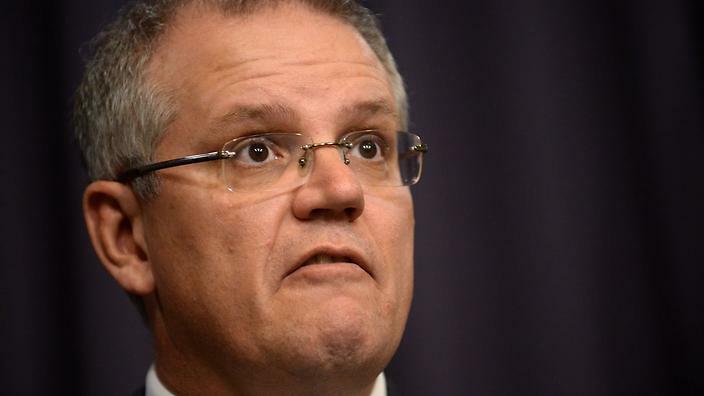 It is extraordinary that Scott Morrison is now contemplating changing the law to allow nuclear power stations in Australia,” he said. “Several places have been identified in the past for nuclear power stations — like Jervis Bay, Townsville, Bribie Island, Mackay. Senator Cory Bernardi has backed nuclear power after the Prime Minister said he is not considering the energy alternative. Nuclear power plants are illegal in Australia but experts say [these “experts” turn out to be the Australian Nuclear Association] it could be the answer to Australia’s energy concerns. Senator Cory Bernardi had introduced a bill last year to remove a ban on nuclear energy. He tells Luke Grant he was hopeful when he heard Scott Morrison had been open to the idea. “The Prime Minister got my hopes up when he said nuclear energy might be a part of the mix if it stacks up on its own two feet. 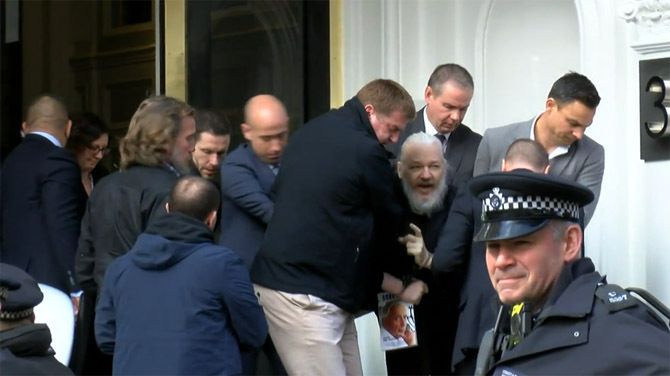 But within 48 hours all the usual suspects come out and monster him into a position which is basically ‘oh no it’s not on the table’. ‘Safest form of power generation’: Calls for nuclear to be put back on the table, HTTPS://WWW.2GB.COM/SAFEST-FORM-OF-POWER-GENERATION-CALLS-FOR-NUCLEAR-TO-BE-PUT-BACK-ON-THE-TABLE/ 16/04/2019, NATALIE PETERS & ERIN MOLAN , Nuclear power plants are illegal in Australia but experts [?] say it could be the answer to Australia’s energy concerns. Many are calling for the construction of High-Efficiency Low Emission (HELE) coal power plants, in order to avoid outages and soaring power prices. But Australian Nuclear Association Vice President Rob Parker tells Natalie Peters and Erin Molan nuclear energy is the most environmentally friendly and cost-effective option. “When we look at nuclear energy we find that it is established as being the safest form of power generation that we have on the planet. Candidates behind the ban, ICAN, Candidates for the 2019 Australian federal election are joining their parliamentary colleagues in declaring support for Australia to sign and ratify the UN Treaty on the Prohibition of Nuclear Weapons. If elected, candidates that “pre-pledge” will be listed as signatories to the Parliamentary Pledge (see text below). The following list of supportive candidates does not include incumbents, who are listed here. With the federal election just around the corner, candidates are committing to work for Australia to sign and ratify the UN Treaty on the Prohibition of Nuclear Weapons in Parliament if elected. Ninety-two current federal parliamentarians have signed the ICAN Parliamentary Pledge, and an additional 46 candidates have “pre-pledged” their support. A few days ago Panama became the 23rd country to ratify the TPNW, bringing it one step closer to entry-into-force! Darebin Council in Melbourne has commissioned and launched a stunning new mural to honour local ICAN co-founders Dimity Hawkins and Dave Sweeney as well as nuclear test survivors and disarmament activists worldwide. It features the late Yankunytjatjara elder and nuclear test survivor Yami Lester. The Lester family, including Karina Lester , have advocated against nuclear weapons and nuclear waste for decades. We, the undersigned parliamentarians,warmly welcome the adoption of the UN Treaty on the Prohibition of Nuclear Weapons on 7 July 2017 as a significant step towards the realization of a nuclear-weapon-free world. Lynas still has to move a radioactive mountain, say Malay officials, SMH, By Colin Kruger, April 18, 2019 Malaysian Environment Minister Yeo Bee Yin accused Lynas Corp of putting its bottom line before the environmental concerns of local Malays in a letter to the company’s employees last year, and it appears that her hard line stance against the controversial rare earths group is prevailing.Malaysian Government officials told the Sydney Morning Herald and The Ageon Wednesday that Lynas Corp still needs to remove more than 450,000 tonnes of radioactive waste from the country for its licence to be renewed in September. Minister Yeo laid down the law in a letter to Lynas employees in December just days after her ministry effectively ordered the company to remove 450,000 tonnes of low level radioactive waste. 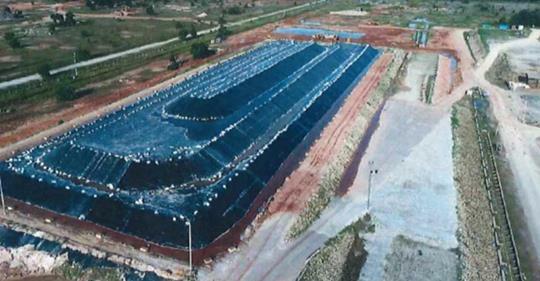 As of now, there is no viable near-term solution to manage the accumulated residue, which is stored at the open landfill temporary site,” Minister Yeo said in the letter. The officials, who are not authorised to speak on behalf of the government on this subject, confirmed that the original conditions that the Environment ministry introduced in December remain in place. In the Lynas employee letter, which was posted to her official Facebook page, Minister Yeo emphasised that the government was holding Lynas to its promise of removing the waste from Malaysia and seized on Australian analyst reports indicating that the cost of removing the residue could be as low as $60 million……..
Lynas, and its estranged suitor Wesfarmers, both welcomed comments this month from Malaysian Prime Minister Mahathir Mohamad that appeared to give a green light to Lynas continuing its operations if it agreed to extract the problematic radioactive residue before the ore was shipped to Malaysia. While still seeking further clarification from the government on his comments, it was suggested that the radioactive waste no longer needs to be exported. Malaysian concerns over Lynas raised with Kevin Rudd in 2011, https://www.theage.com.au/business/companies/malaysian-concerns-over-lynas-raised-with-kevin-rudd-in-2011-20190415-p51ebx.html, By Colin Kruger, April 16, 2019, Former prime minister Kevin Rudd warned in 2011 that Australian companies needed to operate to high environmental and safety standards in their overseas operations after being alerted to Malaysian concerns about the radioactive waste produced by rare earths group Lynas Corp.
A letter obtained by The Sydney Morning Herald and The Age details a response from Mr Rudd, who was foreign minister at the time, to Senator Doug Cameron, who had met with a delegation of Malaysian citizens expressing their concerns about Lynas’ $1 billion operating plant in Kuantan. “The Australian government expects Australian companies to operate to high environmental and safety standards in their overseas operations, as they would in Australia,” said the letter from Mr Rudd dated July 20, 2011. Mr Rudd noted that the Lynas plant, once completed, would be the “largest single investment in Malaysia and as such, the government is taking a close interest in the project”. The plant’s importance went beyond Australia’s relationship with Malaysia. At the time, there was significant global concern about the fact that China dominated the supply of rare earths – a group of 17 elements crucial to the manufacture of hi-tech products like digital cars, smart phones and wind turbines. Despite the name, the elements are not actually that rare, but they are environmentally hazardous to extract. Mr Rudd said at the time that Australia “understands the significance of rare earths globally” and “Australia stands ready to be a long-term, secure, reliable supplier of rare earths to the Japanese economy”. It was shortly after that trade visit that a deal was unveiled under which $US250 million in Japanese government agency financing was made available for an accelerated expansion of Lynas’s Mount Weld rare earths mine in Western Australia, and its associated processing facilities in Malaysia. A Lynas spokesman said the company had “no reason to believe that Wesfarmers had an ongoing interest in the company at the time the shares were purchased. The purchases were made in a designated trading window”. Lynas said it “categorically rejects any assertions of impropriety”. Lynas chief executive Amanda Lacaze will update the market on the company’s operational performance for the March quarter on Tuesday. The company’s results for the December quarter were affected by a temporary shutdown of its operations after Lynas failed to receive approval to lift the approved limit for processing lanthanide concentrate. Secret report: Lynas told of Malaysia risks in 2011, The Age,By Latika Bourke, April 15, 2019, Lynas management was warned eight years ago that the rare earths miner had failed to “engage meaningfully” with Malaysia and its operations in the country could be jeapordised if it did not change the way it dealt with environmental concerns and the government.The Herald and Age have obtained a confidential report delivered to Lynas in 2011 by Australian advisory firm Futureye that concluded the company was in “urgent need” of winning the local community’s support for the Malaysian operations’ future. The report warned that failure to win local support would not just jeopardise the company’s Malaysian business but also call its reputation as a good corporate citizen into question at home in Australia. Lynas is fighting off a $1.5 billion takeover bid from Perth-based conglomerate Wesfarmers with the viability of its operations now hinging on a decision by Malaysian Prime Minister Mahathir Mohamad. The company continues to face major concerns about its 100 hectare materials plant in Kuantan, with community groups stepping up pressure on the government to suspend its operating license. The Wesfarmers takeover has been mired in allegations of aggressive tactics and has caught the attention of the corporate regulator………. Another condition — something the company [Lynas] has previously said was unfeasible — was the removal of more than 450,000 tonnes of low-level radioactive waste from the country by September. Lynas’ auditor Ernst & Young said in February that if the company could not successfully negotiate with the Malaysian government about its processing plant, there was “a material uncertainty that may cast significant doubt about the consolidated entity’s ability to continue as a going concern”. The confidential 2011 report by Futureye appears to anticipate some of these issues. …. Lynas’ failure to “engage meaningfully” in the two years it had been in Malaysia meant “community outrage is escalating at a time when Lynas is awaiting its pre-operating licence”. Unless Lynas began immediate engagement, the report argues, the issue would grow beyond the company’s control. The 2011 document also warned Lynas about its reliance on an administration headed by then prime minister Najib Razak, Mr Mahathir’s political rival who is now being investigated for corruption.